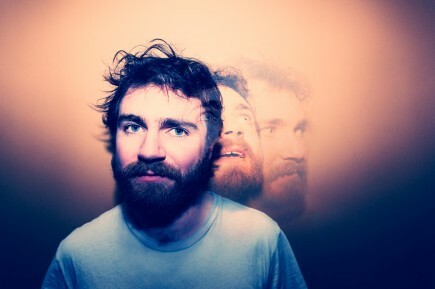 Liam Finn has grown up a lot in the few years between the partying-in-Daddy’s-toolbox schizophrenia of his first solo album, and this much more assured second effort. The trouble is, like so many artists from his generation, the music sounds like it’s desperately trying to escape the oppressive weight of the last 40 years of popular music history. To be fair, even celebrated bands like the Dirty Projectors suffer from the same syndrome: an almost irreconcilable conflict between the need to assert newness while conforming to the needs of the Pop Song. Liam has a couple of other big obstacles to overcome: 1) That his voice at times sounds uncannily like Neil Finn, and 2) That his sense of pop melody also reveals itself through genetic disposition. Having said that, being part of the Finn dynasty isn’t exactly a curse, and while Julian Lennon and Ziggy Marley had a tough ride, later examples of sons of great Dads (Jeff Buckley, Seun Kuti to name two) managed to grab the public’s attention without odious comparisons being flung around. 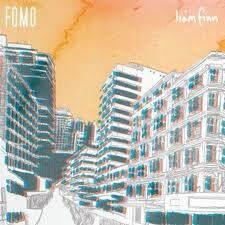 On FOMO (apparently meaning ‘fear of missing out’) Finn is lyrically quite distraught, and seems to be forever yearning for something or someone he can’t get, or worrying about how he’s perceived by the object of his adoration. He’s capable of some decent wordplay. “It doesn’t take much to spit them up/But they hurt”, he sings on ‘Little Words’. It’s pretty clear what ‘Jump Your Bones’ is about, but somehow the imagery there is just a tad too explicit. Unfortunately on a song like ‘Cold Feet’ (the first single), Finn inexplicably gets into a melodic hook and a repetitive verse/chorus structure that’s so weather-worn as to make for instant boredom. Thankfully, this doesn’t happen too often on FOMO, but it’s an album that does often sound more interesting than the songs at their core would ever suggest. This is the curse of the exploratory pop musician who, on some levels, wants to take things into the realm of the avant-garde; yet is caught in flux, ensnared by a music form that has become a roach-house of dead ideas. Sonically, FOMO is great, and it’s as a piece of sound art that it works best. Finn isn’t afraid to use dirty, distorted or degraded sources when it suits him, but they’re always used to good purpose, as part of the overall texture. He’s no purist in an approach that says yes to digital intervention, but obviously also loves the physicality of analogue instruments played in real time; and the album sounds like a composite of both seemingly contrary aesthetics, which is to its benefit. Although he’s known as somewhat of a trooper across the world’s stages, this is an album that could only have been pieced together in a studio, with sometimes multiple approaches on one song. ‘Neurotic World’, for instance, features a piano that sounds as if it’s coming from another room, or another building, while ‘Roll Of The Eye’ spices itself up with something like an amplified hammered dulcimer, some particularly juicy bass, and a power-chord chorus. While the musical picture doesn’t always fully articulate itself, or develop into something of genuine cogency (‘Don’t Even Know Your Name’), the pay off is that on a song like ‘Real Late’, the full frequency bass sound is enough to keep you pinned to the couch. And elsewhere (especially the previously mentioned ‘Little Words’) the cleverness of ‘70s bands like 10cc is intentionally (or otherwise) echoed.